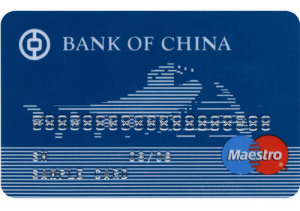 Great Wall "Maestro" international debit card, first issued in June 2001, is the first MasterCard bank card issued in China's mainland complying with international standards and may be used worldwide. The card is characterized by safety, reliability and low costs. Customers can withdraw cash at the ATMs of MasterCard International with Cirrus logo in more than 100 countries and regions across the world, as well as make purchases at the merchants with Maestro logo. The card can also be used for deposit, withdrawal and foreign exchange trading within the deposit city. Characterized by "payment after deposit", instant debit, and no overdraft, the Great Wall international debit card allows transaction with password only. 1. Deposits: the Great Wall "Maestro" international debit card supports deposit or remittance in multiple foreign currencies with USD as its currency of account. That is to say, when customers make purchases or cash withdrawals abroad, the transactions will be denoted in USD. The six-digit password is needed for withdrawal. If a customer fails to enter the correct password for three consecutive times, the account will be locked on that very day and unlocked on the following day. To withdraw cash from ATMs, customers should choose Saving Account at the transaction interface. The cash withdrawal can be made in the local legal tender only, and the withdrawal amount per transaction is specified at the discretion of the bank that owns the ATMs. 3. Overseas payment: customers can pay directly with the card at the overseas appointed partners with MAESTRO logo (Applicable to small merchants, including convenience stores, supermarkets, department stores, facilitate customers' daily life). The debit card can only be used at appointed Maestro marked partners which support password transactions. The six-digit password is required. 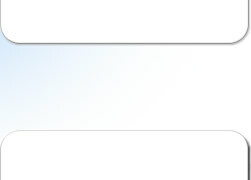 At present, the debit card does not support online payments. But customers can link Bank of China's Great Wall debit card, Great Wall RMB credit card or Bank of China series credit card to online banking and set them as "online payment accounts". Tips: Great Wall international debit card does not support online order return and tax rebate transactions. If there is any defect in the commodity purchased with the card, please timely contact the merchant to return it for cash or change it. 4. Over-the-counter deposit/withdrawal: customers can withdraw cash with the card and the password at the outlets of Bank of China. Before making large-sum withdrawals over the counter, customers should make an appointment with the outlet by informing the expected withdrawal date and amount. Valid identity documents, the card or card number are required. 5. Telephone banking: customers can call 95566 for account information at any time. Some of the main functions are: account inquiry, foreign exchange trading, foreign exchange market information inquiry, loss reporting and other services. 6. Online banking: online banking provides customers with functions like account information inquiry, foreign exchange trading, foreign exchange market information inquiry and so on. 7. Foreign exchange trading: customers can conduct the exchange facility transaction or foreign exchange trading at the outlets of Bank of China where such service is available. They can also carry out such transactions by calling 95566 with the card number and the telephone banking password or via online banking. 8. Multiple accounts in one card: the principal cardholder can apply for multiple supplementary cards. Transactions can be made freely between the principal card and the supplementary cards without being subject to geographic restraints. Cardholders of supplementary cards, even if thousands of miles away, have access to the principal card account. If the supplementary cardholder is abroad, the principal cardholder in China can check the information of the supplementary card account. If the supplementary card is lost during the cardholder's traveling abroad, the principal cardholder may apply for password change, loss reporting and other services at home to make it safe and convenient, real-time and efficient. 9. Interest accrual for deposits: the interest of the deposit in the international debit card is settled once a year, and accrued by the current deposit interest rate of the corresponding foreign currency. 10. Low cost and convenience: no handling fee is charged for overseas payment. For cash withdrawal at overseas ATMs, only USD 3 is charged for each transaction regardless of the amount. Chinese citizens with full capacity for civil conduct or foreign citizens with valid identity documents issued by the host country may apply for a "Maestro" international debit card. The principal cardholder can also apply for up to four supplementary cards for his/her spouse, parents and children. For the replacement of the supplementary card, cardholders are required to complete the application form, which should be signed by the principal cardholder. A copy of identity document of the supplementary card applicant should also be provided. The card can only be collected by the principal cardholder in person at the issuing outlet by showing the principal card and ID card. 1. Fill out the "Maestro" international debit card application form, and provide the valid identity document and its copy. 2. Open a personal all-in-one current deposit account at the issuing outlet. USD should be used as the currency of account of "Maestro" international debit card. A personal current deposit account in other freely convertible foreign currencies can also be opened as an ordinary account in accordance with Bank of China regulations for personal foreign currency deposits. The minimum deposit balance of the basic account is USD 10. 3. Telephone banking services should be activated when collecting the card. 3. Loss reporting: if the card is lost or stolen abroad, customers should call the issuing branch's 24-hour service hotline to report the loss as soon as possible. After returning to China, customers can bring ID card or other valid certificates to formally report the loss at the issuing outlet. 4. Any doubts about the transaction records should be reported to Bank of China timely and we will inquire the overseas acquiring bank. Similar requirements of customers will not be accepted and the customers will be deemed to have confirmed all the transactions. 5. Bank of China's host system will process data from 3:00 to 4:30 (Beijing Time), when transactions of Great Wall international debit cards will not be accepted.